We are a sports club focused on sports with dogs. 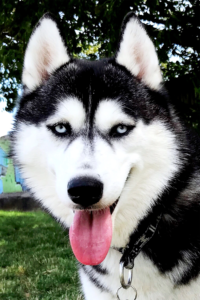 And especially with a purebred breed of Siberian Husky. Even though we are from Bratislava, we definitely want to break even in the field of classic snow disciplines. Our main focus is “off snow” of canicross, bikejöring and scootering on short “sprint” tracks and “On snow” disciplines sane 2 to 4 dogs and skijöring. Join us and enjoy this wonderful sport! If you are interested in supporting the activities of our sports club, do not hesitate to continue by pressing the button below. We welcome your support so that we can develop as many of our sports activities and other objectives of our association Flying Husky, o.z.. Manufacturer of new generation nutritional supplements Hyalutidine HC Aktiv, which is unique to its hyaluron-chondroitin complex (HCK), with an effect of articular application. It is designed to prevent joint damage, subsequent arthrosis, or prevent further enlargement. It also manufactures these nutritional supplements for horses, dogs and cats. You would like to have at home Norseman? Do not buy it through the bazaars and advertisements! 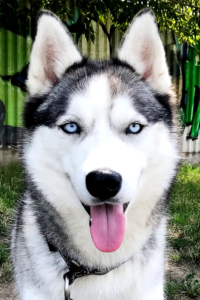 If you do not want to buy it directly from the kennel, we recommend visiting the Siberian Husky Rescue Slovakia page and adopting and saving one of the dogs found.